Vocal Score. Composed by Gioachino Rossini (1792-1868). Music Sales America. Mass, Sacred, Classical. 64 pages. Novello and Co Ltd. #NOV072452. Published by Novello and Co Ltd.
By Gioachino Rossini. Arranged by Fleming. For Longer Choral Work: Vocal Score Mixed Choir Paper. Published by Oxford University Press. By Lorenzo Battagion, Bass; Letizia Calandra, Soprano; Michelangelo Carbonara, Piano; Giuliano Di Filippo, Tenor; Onorati. By Gioachino Rossini (1792-1868). Listening CD. Published by Tactus Records (NX.TC791803). By Gioachino Rossini. For SATB solists, choir, orchestra. Print music available separately (PE.P08684). (Choral Singing the Easy Way to Learn) Sopra no (Lat.). Play Along. Published by Music Partner. By Gioachino Rossini. Piano-vocal score. Published by Carus Verlag (German import). By Gioachino Rossini. Edited by Doge, Klaus. For Soli SATB, SATB Choir, 2 Pianos, Armo. Masses, Latin. Score. Language: Latin. Composed 1863. 184 pages. Duration 90 min. Published by Carus Verlag (German import). By Gioachino Rossini. 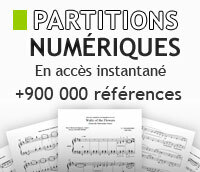 Choral score without keyboard reduction. Published by Carus Verlag (German import). By Gioachino Rossini. Print music available separately (PE.P08684). (Choral Singing the Easy Way to Learn) Alto (Lat.). Play Along. Published by Music Partner. By Gioachino Rossini. For SATB Choir, Piano Accompaniment. Romantic, Sacred, Choral. Sheet Music. 212 pages. Published by Novello & Co Ltd.